All eyes in Universal‘s Monster Universe – both human and otherwise – may currently be trained on the Tom Cruise-fronted reboot of The Mummy, itself due to arrive in 2017, but the studio recently nailed down release plans for the third creature feature in its shared universe for 2019. Exactly who or what said feature will revolve around is still up for question, but we know now that it’ll scurry into theaters in time for February 15, 2019. Pumping out one film per year, that places the as-yet-untitled genre flick behind both The Mummy – slated for June 9, 2017 – and the second of Universal’s reworked horror icons, which was recently pegged to arrive on April 13, 2018. 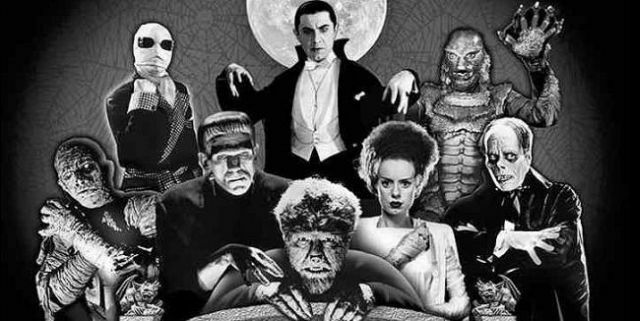 Currently, it’s understood the studio’s Monster Universe will soon house solo movies for such heinous creations as Dracula, Van Helsing, Bride of Frankenstein, the Wolfman and the Invisible Man, but aside from Alex Kurtzman’s overhaul of The Mummy, no details have been disclosed regarding when each supernatural being will grace screens and in which order. Nevertheless, Kurtzman is the one in the driver’s seat alongside Furious 7 alum Chris Morgan. Together with producer Sean Daniel, they’ll be resurrecting an Egyptian deity next summer, with plans in place for Tom Cruise’s former Navy Seal to be flanked by Kingsman: The Secret Service breakout Sofia Boutella as said Mummy, Annabelle Wallis, Jake Johnson, Marwan Kenzari and Courtney B. Vance. The Mummy will kick things off for Universal’s grand shared universe on June 9, 2017, followed in quick succession by two currently anonymous features on April 13, 2018 and February 15, 2019.